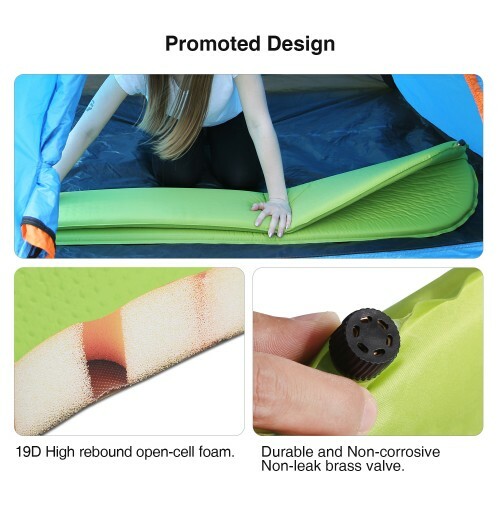 ADJUST FIRMNESS TO YOUR NEEDS: Its 19D high rebound open-cell foam design and durable non-corrosive brass valve, ensure hassle free inflating in secs. 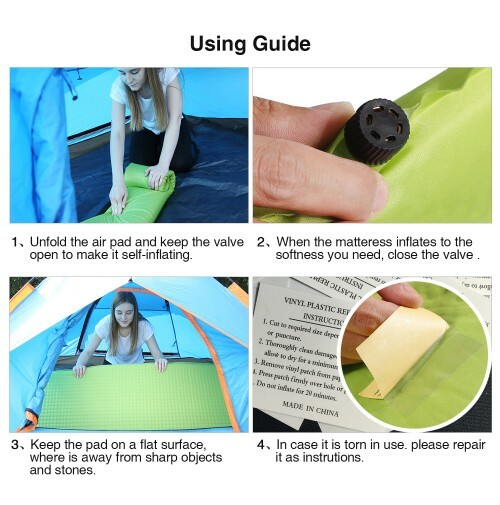 Just twist it open, unroll the pad and it will start to inflate itself. Now you can adjust its firmness by adding or releasing air. Simple as that. It won’t lose air and will help you sleep like baby again! 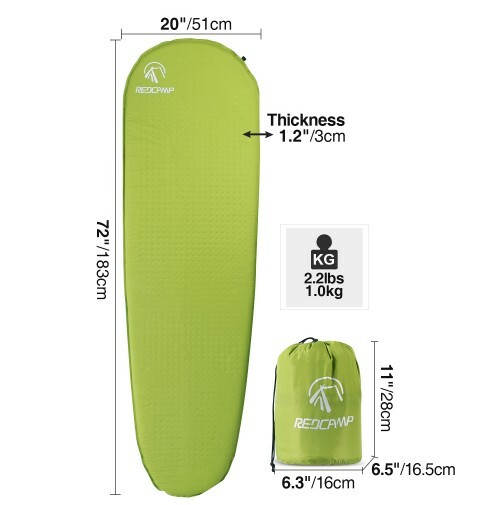 WITHSTANDS WEAR & TEAR: Made of high quality materials and with the latest self-inflating technology, this backpacking sleeping pad is designed to withstand heavy duty use. 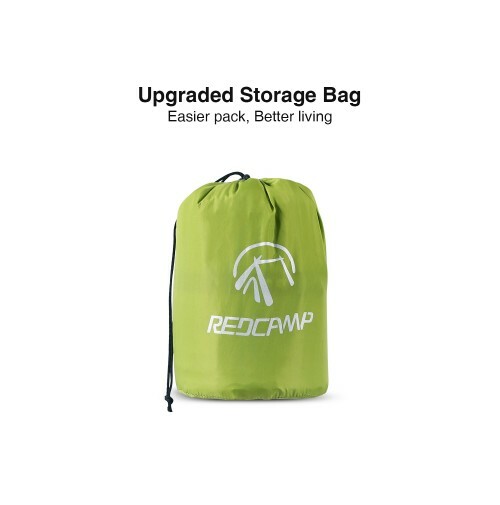 Combining 75D polyester pongee and a 1.2-inch-thick pad, you may rest assured that sleeping on this modern mat is comfortable and easy even on slightly rough surfaces. 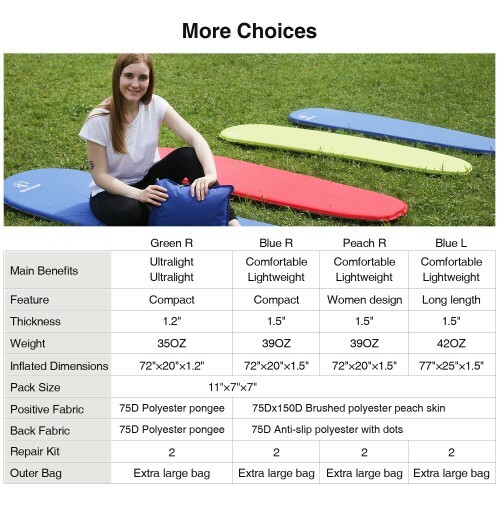 CHOOSE THE DESIRED SIZE & COLOR: Have a look at our great lightweight sleeping pad collection and find the mat you like the most. Choose among our 3 vibrant colors of jungly green, sea blue and funky peach or simply get them all. Find the length that works out better for you and enjoy! Perfect for men, women, little girls, boys, and teens! 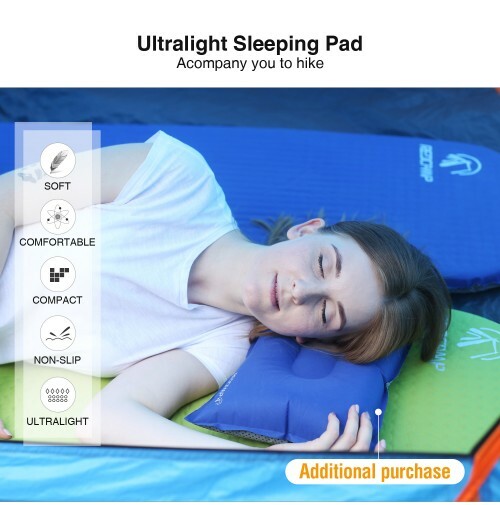 GET THIS SELF INFLATING SLEEP PAD RISK FREE: Your 100% satisfaction has always been our top priority. That is why all of our products are backed by our unconditional 365-day manufacturer warranty. 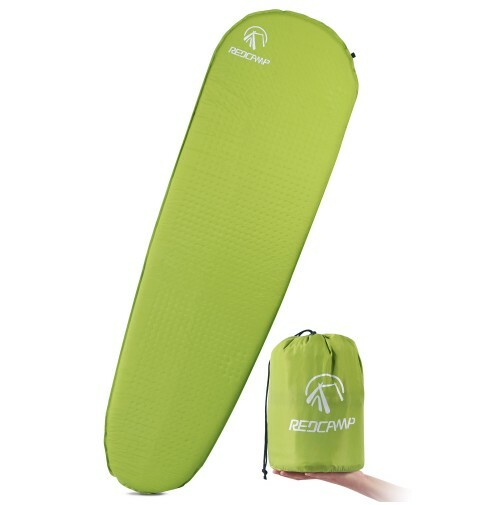 This camping sleeping mat is ultralight,compact, easily foldable and comes in a drawstring bag for hassle free carrying and storage.